M106 (NGC4258) is a large (18.2′), bright (mag 8.3) spiral galaxy in Canes Venatici at RA 12h 18m 58s and DEC +47d 18m 14s that is 22-25 million light years distant. It is suspected of having a supermassive black hole that generates X-Rays and unusal emission lines and has been categorized as a Seyfert II galaxy. 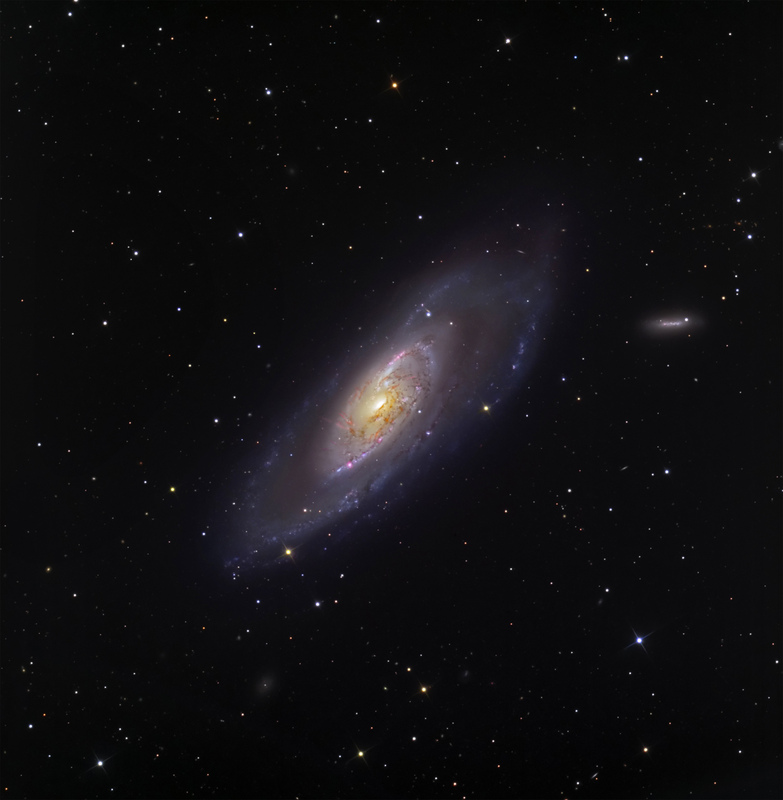 The companion galaxy to the right of M106 is NGC 4248 and UGC 7356 is below. The field is ~40’x40′ and North is up. Data were taken automatically with CCDAutoPilot4 running Maxim4.62 and off-axis guided with an Astrodon MonsterMOAG and SBIG ST-402 guide camera. Astrodon Gen 2 LRGB filters were used. Data were calibrated, aligned and initially processed in CCDStack. Final processing was done in Photoshop CS3.